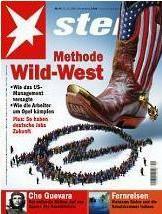 Davids Medienkritik: SPIEGEL Disses Obama Again: "Europe Must Protect Itself from America"
Being President isn't easy. 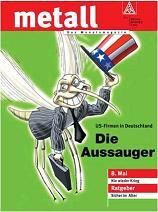 Dropping approval ratings at home - and now this from SPIEGEL? The afterglow from the 2008 Berlin speech has clearly faded with the German media elite...Et tu Brutus? Here's what's interesting about this article: The small headline below the article summary reads "The German Prism: Berlin Wants to Spy Too." If America's activities constitute spying - than the German government not only "wants to spy" - it has been "spying" for decades now. In many instances, Germany and other European governments have acted more aggressively than the United States. Even Augstein tacitly acknowledges that his criticism of the United States could equally be a criticism of European governments. This is the pot calling the kettle black while simultaneously criticizing it. Put another way, Augstein's commentary is both inconsistent and incoherent. It boils down to this: Every society must grapple with the eternal conflict between privacy and security - and in many cases - European countries come down more heavily on the side of security. America - after all - does not have a national ID card or Anmeldungspflicht. But Augstein's work has little to do with some noble crusade to protect the privacy of European citizens. Instead, he is doing what SPIEGEL has always done: Scratching for some pretext to attack the "imperialist other" - the American boogeyman - while attempting to stoke Transatlantic conflict. This was and remains a time-tested formula for moving copy and cashing in with SPIEGEL readers. The usefulness likely ended a year after they gave the President the Nobel Peace Prize. And now, inherently jealous of the virulent The Guardian from getting all the glory, Der Spiegel now springs a hot, new scoop: The US has been spying on the EU! Der Spiegel, Die Zeit, Guardian, and that Pravda-Lite enterprise RT News have been stoking and generating these stories the most. Nobody has noticed so far that the goal of these rags is to defame and demonize the US, and it didn't start with the Snowden story. I assume the French press has its counterpart, too, but I ain't speak that lingwich, so I dunno about it. Obama isn't America's friend, either.